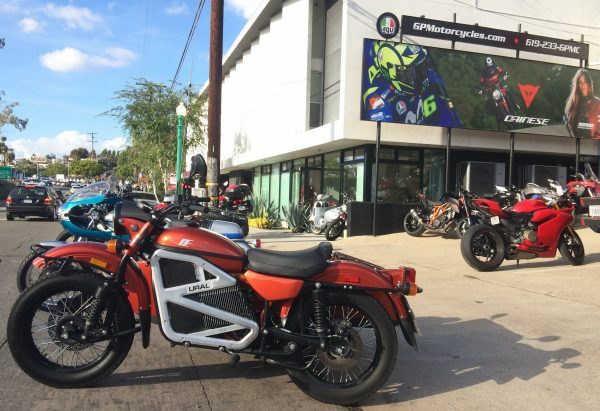 SAN DIEGO – When GP Motorcycles held a grand reopening party last week having added Ural to its brand lineup, they invited Ural to bring demo bikes to create some buzz. 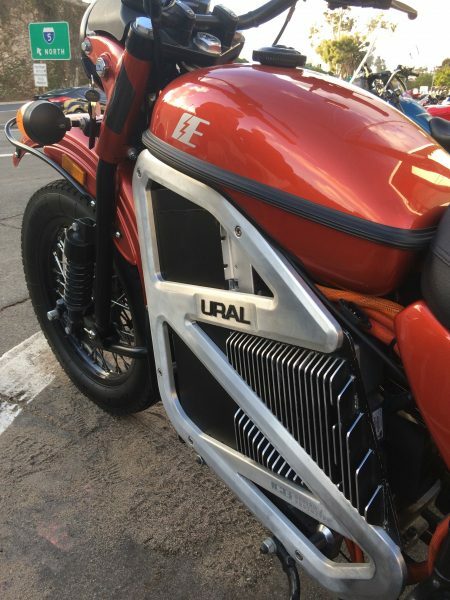 In addition to a gas-powered Gear Up sidecar rig, Ural brought its prototype electric model with sidecar – and allowed people to take it out for demo rides. Prospective riders first took a supervised demo ride on the Gear Up to show sidecar competence and were then allowed to try out the electric model. I was fortunate and got to take the prototype for a second ride at the end of the day for a slightly deeper look. Being electric, it has neither a clutch nor gearbox, so no pedal or lever on the lefthand side of the rig. There is a parking brake lever on the left handlebar because the electric motor can’t be “parked in gear” on a hill, it turns freely once the power is off. 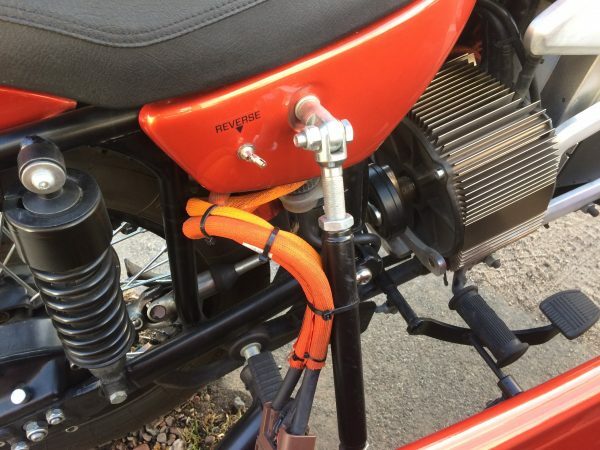 The Zero battery pack fills the space where the gas engine would be, and the electric motor fits in the transmission spot where it bolts directly to what looks like the stock Ural driveshaft. 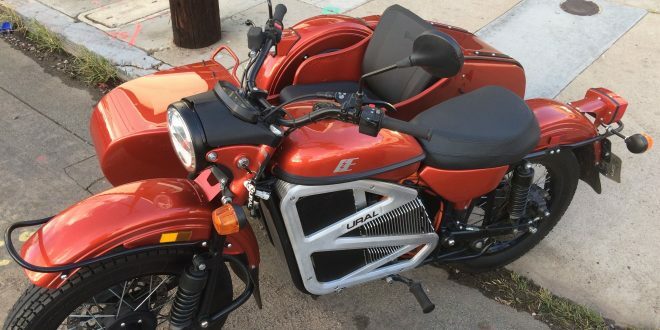 There’s a secondary battery pack hidden in the sidecar. Zero certainly has done a very nice job with the power system. Throttle response is impeccable, smooth enough for the Zral to embarrass almost every gas-powered bike I’ve ridden. 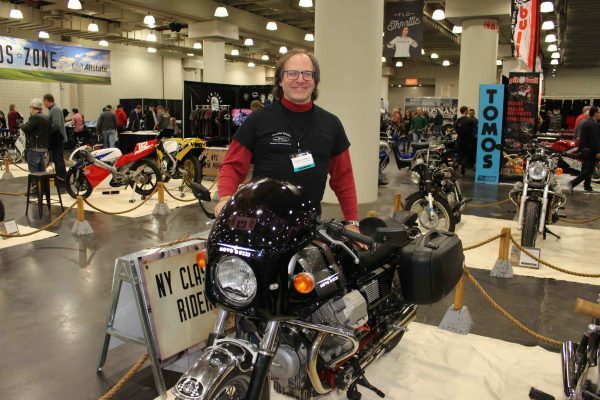 Power is totally linear with great torque, and there’s no herky-jerky between decelerating and accelerating or any “hunting” when you want to hold a steady speed. You can even creep along smoothly at slower than a walking pace. 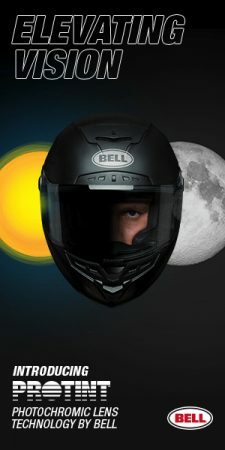 To me, it feels like science fiction to twist the grip and have the bike propel me forward silently and smoothly. Reverse on the Zral is as easy as flipping a switch, which made it very easy to maneuver for photography. The controller is programmed with multiple ride modes, similar to the Street, Sport, and Rain modes on many modern bikes. 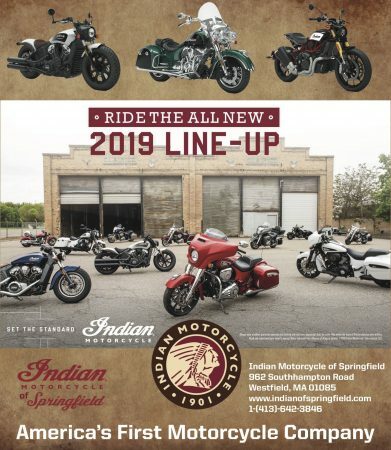 On the Ural, these settings also change the amount of regenerative braking, where engine braking turns the motor into a generator to put some charge back into the batteries. For this event, they had the Zral in its lowest-power motor setting, similar to “rain mode” and still at least as peppy as the gas engine model. According to factory representative Josh Kane, maximum power from the Zero motor is more than the skinny Ural tires can handle. 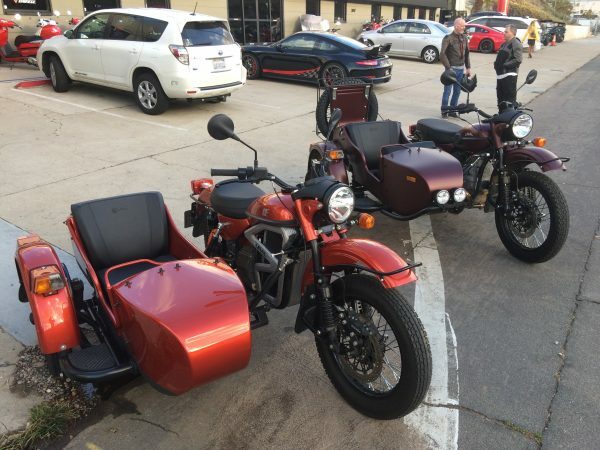 I had driven sidecars a few times before, including older Urals and my friend Rick Pelanek’s home-brewed electric conversion Ural that he uses to drive his kids to and from school in Chicago, but I doubt I have gone 50 total miles on three wheels. Sidecar driving is not hard at all, as long as everything is going well and the pace isn’t too fast around the corners. How I would handle emergency maneuvers under duress is a question I’d rather not find myself answering because sidecars require much different reflex actions than motorcycles. Coming off of the gas-powered Gear Up, the Zral seemed to accelerate a bit quicker and definitely provided a smoother ride. 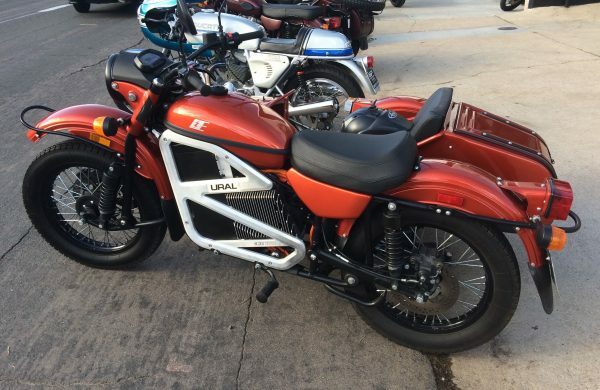 Make no mistake, we’re still in the Ural performance category, which is amazingly slow if you’re used to anything with a faster top speed than a 150cc scooter. All sidecar rigs have a tendency to turn under the forces of acceleration and engine because the sidecar is a big mass that doesn’t want to accelerate or decelerate, hanging way off to the right of the drive wheel. The weight of the battery pack in the Zral sidecar probably caused the increase of that effect compared to the Gear-Up, but the bottom line is the Zral wanted to throttle-steer noticeably more than the Gear Up. On the plus side, those batteries certainly helped prevent accidentally “flying the chair” around corners, something I didn’t really want to do when driving a unique prototype with my limited skills. The Ural’s softly-sprung chassis designed for military off-roading was well suited to our demo ride route through the city, up and down steep hills, around sharp corners, and over some pavement bad enough that when I clipped a curb with the sidecar wheel during my first lap driving the Gear Up, it didn’t feel noticeably worse than the potholes. On the short highway stretch, the Zral was slightly more adequate than the Gear Up, but neither were happy. In the absence of engine noise, you can really hear every chassis squeak as the suspension parts work. 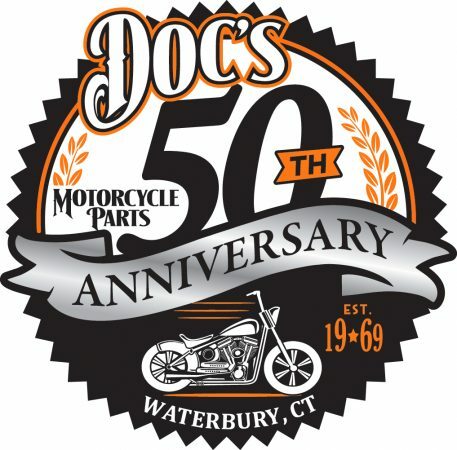 You also hear so much more of the people and places you ride past, a sensory experience I hadn’t realized I was missing on gas motorcycles. Overall, this is a remarkably polished package for a prototype. 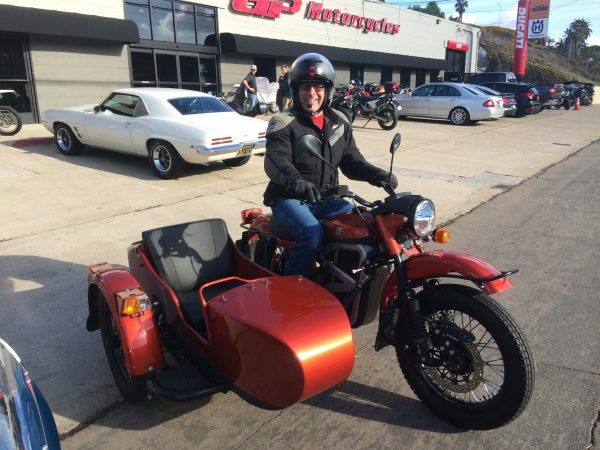 If Ural builds something similar – hopefully with the powered sidecar wheel like the Gear Up – it should be very appealing to anyone who’s been thinking about a sidecar, likes the idea of electric, and can live with the limited speed of a Ural. 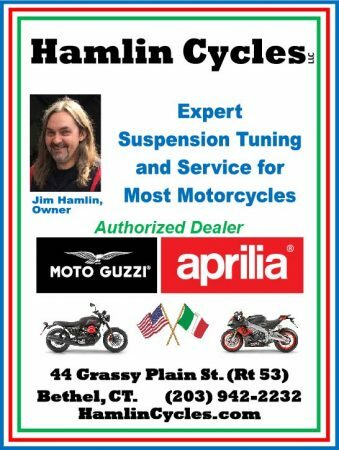 Editor’s note: Before moving to California at summer’s end, lifelong motorcyclist Adam Zuckerman worked for Hamlin Cycles, the Moto Guzzi and Aprilia dealer in Bethel, CT, and organized the monthly Spark! motorcycle night at nearby the Molten Java coffee house. Awesome story, Adam! Great review, and very comprehensive.